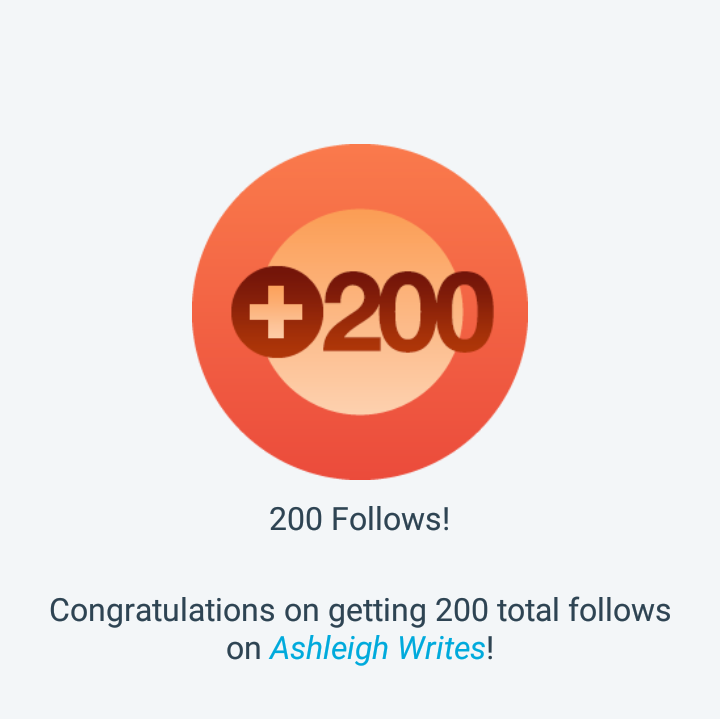 On the 10th August, which is two days ago whilst I am currently writing this, I hit 200 followers on WordPress which is crazy. I’ve only been blogging for 8 months and growing my blog has been a slow gradual process, but this is a big milestone. It’s important to celebrate milestones! When I properly started blogging I never thought that anybody would want to read my blog or be interested in what I had to say. Neither did I think that people would actually follow me on my little corner of the internet and continuously read my blog posts – never mind over 200 people following me on my WordPress blog. But, it’s happened, and I couldn’t be more grateful. It makes my heart happy when people tell me that they love my content; it definitely makes what I’m doing worthwhile, even if blogging is quite time consuming. These past couple of months especially have been great in terms of blogging. My blog is really beginning to grow since I started it in December and it’s only continuing to grow. It’s great that other people are enjoying my posts just as much as I enjoy writing them. Not only have I reached 200 followers on WordPress but I’ve reached 1,800+ followers on Twitter too. Over on Twitter I’m well on the way to reaching 2,000 followers which is insane. My Twitter is xashleighwrites. (Shameless self promo). I can only hope that people continue to enjoy reading my blog posts as I continue my little blogging journey! Congrats on reaching this milestone! Many more to come! Congratulations, this is such an amazing milestone!